Join a Medicine internship in Cambodia and shadow doctors in a hospital as they consult with and treat patients. You can rotate around a number of departments, learning directly from medical staff. We’ll teach you how to diagnose and treat different illnesses and diseases. 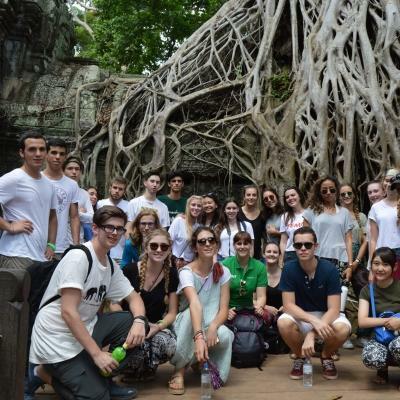 Our medical placements in Cambodia give you a deeper insight into a developing country’s healthcare system. This kind of work experience will give your CV an extra edge. Unsure of what you would like to specialise in in the future? You can work in more than one department. 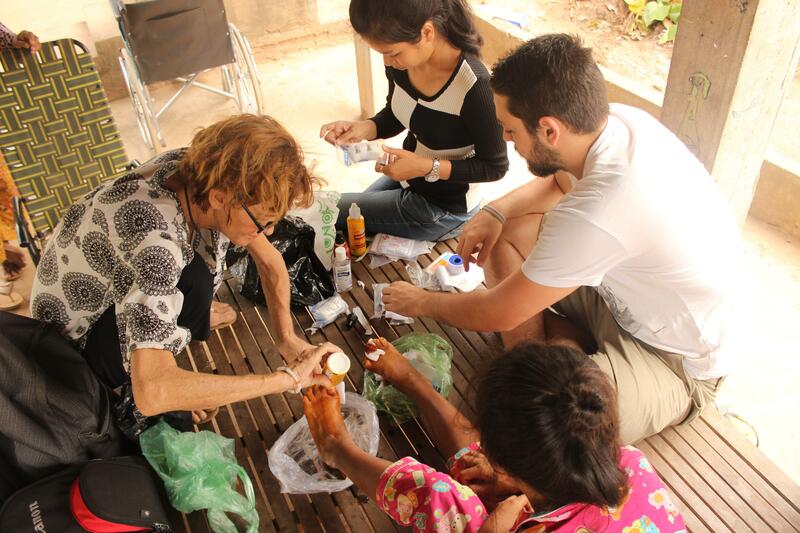 We’ll also teach you basic medical skills that you can put into practise during outreaches. You'll work under supervision, monitoring heart rates and measuring blood sugar and blood pressure. 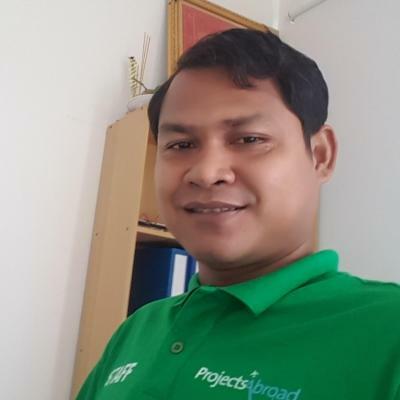 You will live in Phnom Penh, and live in shared Projects Abroad apartment. 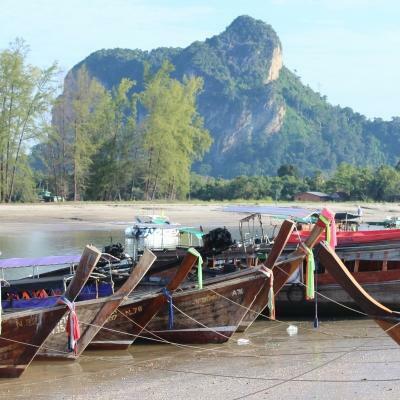 You can spend your free time sampling delicious local food, and visiting ancient temples. You should have completed at least three years of medical related studies or training. Is a Medicine internship in Cambodia right for me? If you’re studying towards a career in medicine and looking for clinical work experience, this Medicine internship in Cambodia is for you. The experience of shadowing doctors and doing outreach work will add a lot of value to your CV. It will also give you great points to talk about in interviews. You can talk about what you saw, the skills you learned, and how you overcame any challenges you faced. The outreach work you do will also show your commitment to helping others. 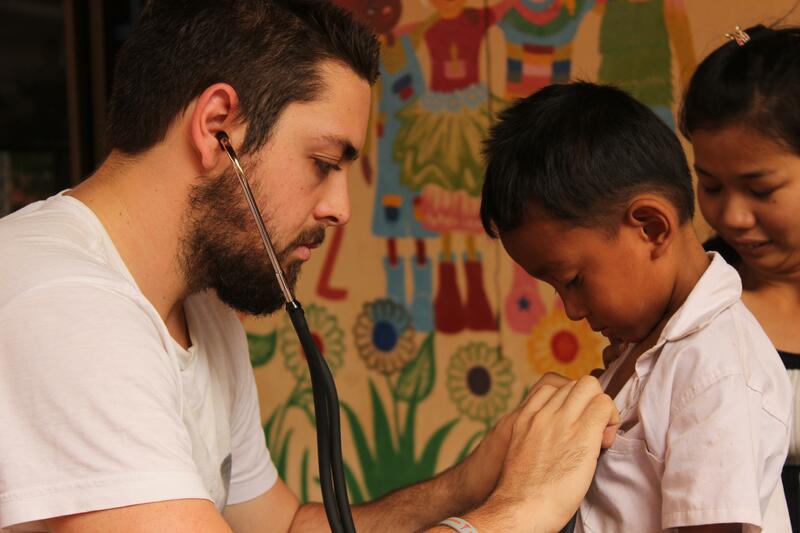 To do a Medical Internship in Cambodia, you need to be in your fourth year of medical studies. The project runs throughout the year, and you can join at any time for a minimum of four weeks. The longer you stay, the more you learn. 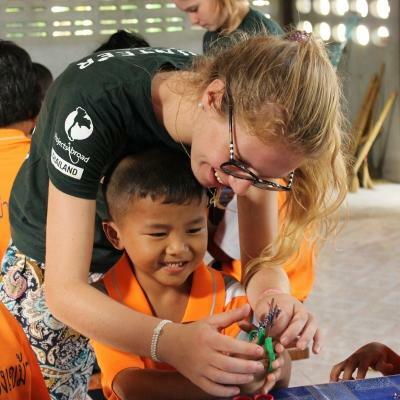 What will you do during your medical internship in Cambodia? During your internship, you’ll observe experienced doctors during their hospital rounds. You’ll also sit in on their consultations as they talk with and assess their patients. This will help give you insight into the types of illnesses prevalent in Cambodia. From the doctor, you’ll learn how to diagnose and treat the diseases you see. We encourage you to ask questions and take notes. Throughout your stay, you will have the chance to work in different medical departments. Your level of involvement within the hospital will also depend on your initiative and the trust you build with the medical staff. Many of the disadvantaged communities in Cambodia cannot afford access to healthcare. 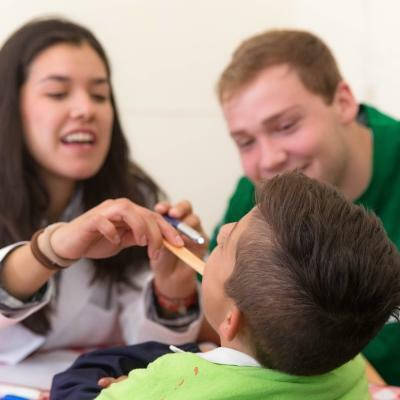 As part of your internship, you’ll participate in community outreaches. Most of our outreaches take place in childcare centres. You’ll do health checks, and monitor heart rate, blood pressure, blood sugar levels, and temperature. All of your work is done under supervision. Due to the conditions in disadvantaged communities and the lack of education, many of the locals are susceptible to disease and illness. You’ll help us raise awareness on how to prevent diseases like HIV, tuberculosis, and parasitic infections. You’ll also share knowledge about how to spot the signs and symptoms. You’ll have the chance to work in different departments throughout your internship. However, you need to spend a minimum of two weeks in each one you chose. The longer you stay, the more departments you can work in. Situated along the Mekong riverside is the charming capital city of Phnom Penh. The city offers a host of attractions, including historical museums in the city centre, the famous Royal Palace situated along the riverside promenade, and modern malls or local marketplaces. As a medical intern, you’ll work in one of the hospitals in this rapidly modernising city. Most interns work at a large state hospital, but there is also an opportunity to work with children in a paediatric hospital. The state hospital is the largest hospital in the city and the facilities are basic. With over 17,000 patients being admitted to the hospital every year, there will always be work for you to observe. There’s no need for a translator as most of the doctors speak English. Many of them also speak French. You’ll wake up each morning in your shared apartment before tucking into egg fried rice, banana pancakes and fresh fruit with the other volunteers. You’ll hop onto the tuk tuk waiting at your door that will take you to your internship at one of the city hospitals. A typical day will start around 8am and end at 12pm when the doctors head home. At this point, you can spend the afternoon producing educational campaigns or you can head back to the apartment. You’ll begin each day by shadowing a doctor as they check on their patients during rounds. After rounds, you can sit in on consultations. Some days, you may assist the doctors on outreaches, where they treat patients who cannot afford basic healthcare. You can help them measure blood pressure, glucose levels, heart rates, and temperatures. At the end of the day, you can go back to the apartment for dinner or head out to experience local cuisine at one of the many side street restaurants. The nightlife in Cambodia is something you cannot miss! You can explore more of the stunning city of Phnom Penh during your free time. You should make time to visit the Royal Palace, the Killing Fields and S21 museum. Over the weekends, you can expand your exploration and visit ancient temples in Siem Reap, or soak up the sun at the beach. 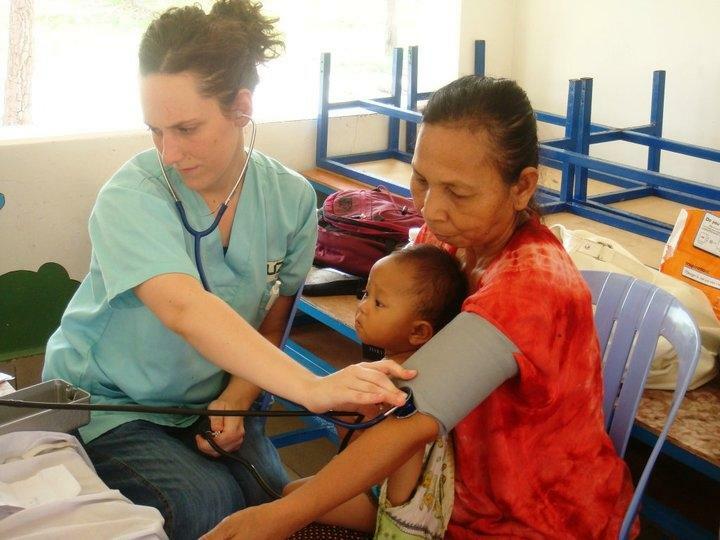 The aim of our medical internship in Cambodia is to expand your medical knowledge and promote cultural exchange. 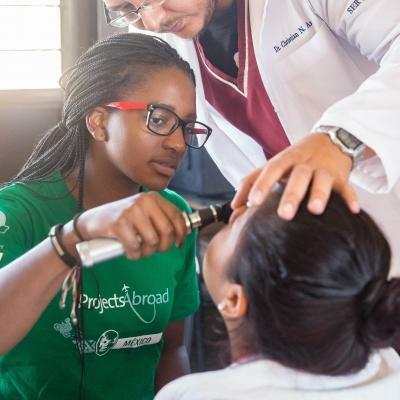 We want you to learn from practising doctors, get insight into a developing country, and share experiences with one another. Cambodia is a country with a complex history, and it is still recovering from the devastating effects of the Khmer Rouge era. Although the war has long since ended, you will see the effects as you drive through the more rural areas. Poverty still affects many communities and the locals often cannot afford healthcare. This is why you’ll assist qualified medical staff in providing these communities with free basic health checks. Gain medical work experience and help us work towards these goals by joining our Medicine Internship in Cambodia.